A new week means new places to go for Battle Pass stars. 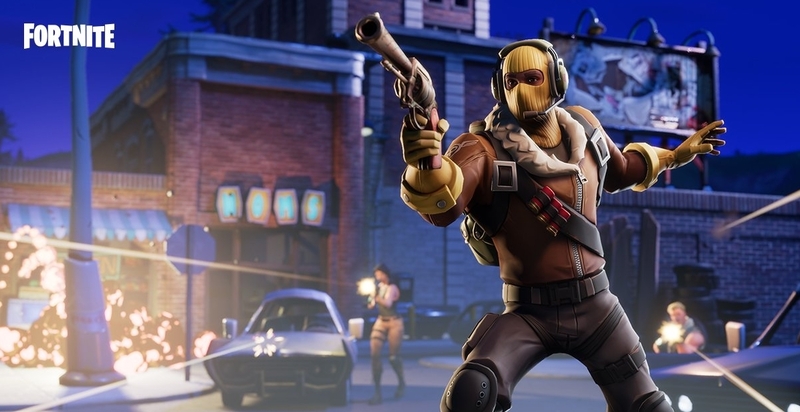 A new week in Fortnite: Battle Royale means new challenges to complete to level up your Battle Pass, and a new reason to go to different places on the map. Last week’s challenges created mayhem as players were tasked with going to Wailing Woods to loot chests, and this week’s challenges are no different when it comes to forcing you out of a comfort zone. One of this week’s destinations is Junk Junctions, the point of interest furthest northwest on the map—and one of the places most likely to really screw you over for the first circle when you land there. This one’s simple enough, and you should get there in a few games if you play them out. You should always be harvesting resources, just in case. You will need either a suppressed SMG or pistol to accomplish this feat, which amounts to killing five enemies or a couple enemies with lots of shields. This new one will undoubtedly send lots of people jumping out of the Battle Bus in a new direction for the first time. 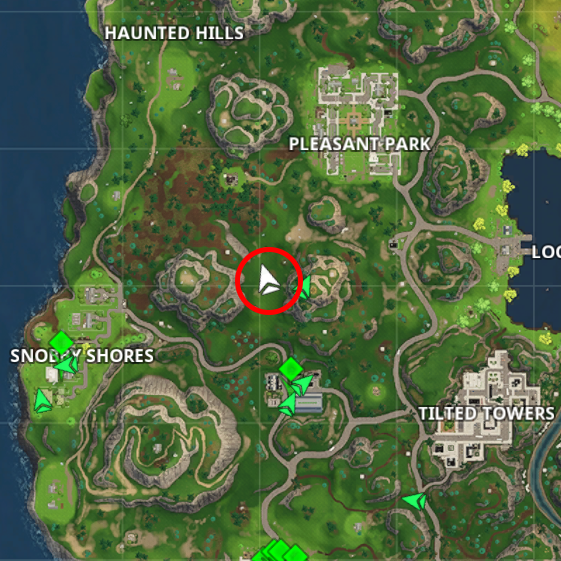 There are quite a few chest spawns in Junk Junction, though, so this spot shouldn’t be as bad as Wailing Woods in comparison. With Teams of 20’s increased chest spawns, you can try to finish this one in that mode. 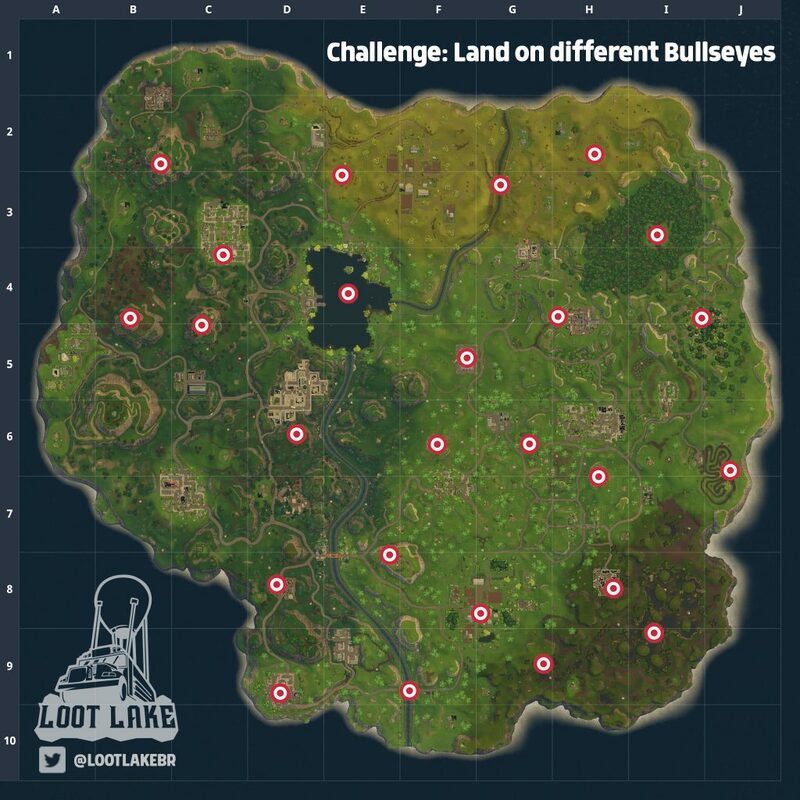 Different Bullseyes are spawned throughout the map. Land on them seven times to get yourself five stars to put towards leveling your Battle Pass. A treasure map found in Snobby Shores will send you to somewhere specific on the map. Once you get there, these 10 stars will spawn in for the taking. This one might be tougher than the rest, but the Crossbow is still a pretty decent weapon. Thankfully, it’s silent, so you can get away with trying to pick people off from a distance. Self-explanatory. Land in Salty Springs and take the fight to the enemy quickly three times to get yourself 10 easy stars.